Ribbed crewneck. Regular fit is wider at the body, with a straight silhouette. Officially licensed by FIFA. 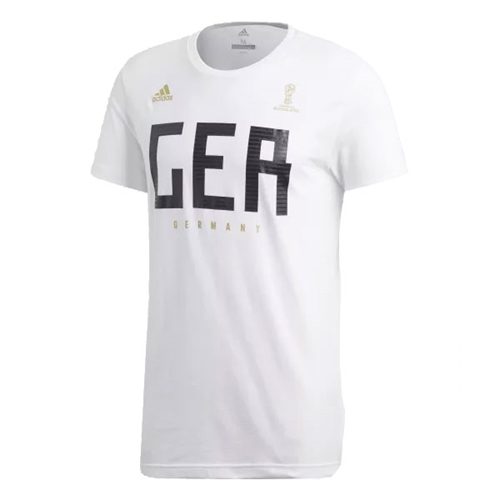 Our adidas Germany Fan T-Shirt 2018 features a Screenprinted Germany graphic on front. FIFA World Cup™ emblem screenprinted on chest. adidas Badge of Sport screenprinted on chest.